The latest crop of trucks for 2019 have some of the most advanced and efficient diesel engines ever designed. The most powerful versions produce over 900 lb-ft of torque and are capable of pulling over 16 tons. Some of the latest trucks to be released this fall are yet to release their diesel specifications, but we have done some educated sleuthing to provide the most up to date information available. Let’s take a closer look at the latest crop of diesel trucks, see what’s available and what’s coming up in 2019. Ford has not yet announced a diesel engine for its U.S.-spec Ranger pickup, nor released any specifications for a high-performance Raptor version thereof, but most industry insiders assume that both are coming. 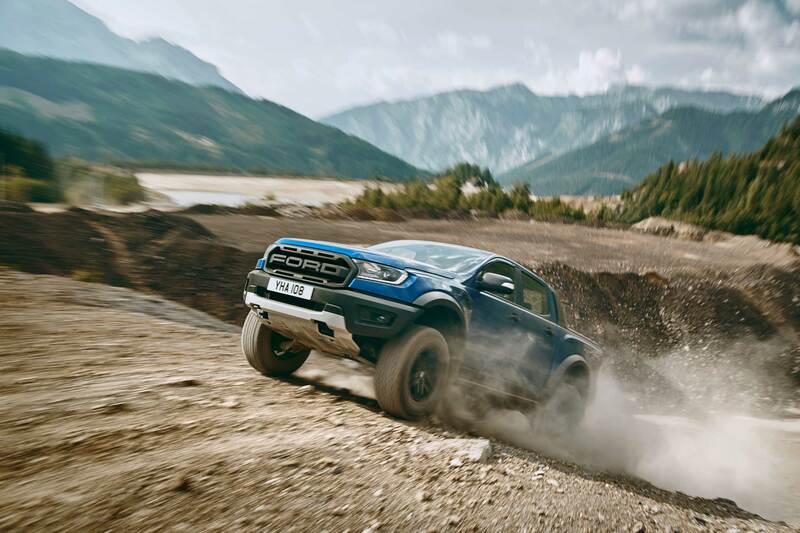 The company did announce a diesel Raptor for the Asia-Pacific market back in February, and one for the European market (shown above) in August. Both are powered by a 2.0-liter turbodiesel paired to a ten-speed transmission. Though physically small, fanatical attention to efficiency gains yields 210 horsepower and a big 369 lb-ft of torque. An offset crank reduces piston side load, crankshaft bearing diameters are minimized, and driving belts are in oil to reduce every ounce of friction. Is this the engine that could appear in the American Ranger? 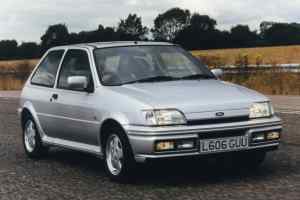 It would have to compete with the gasoline-powered 2.3-liter turbo installed as standard equipment that makes 270 horsepower and 310 lb-ft of torque. Diesel fans will want an option, though. 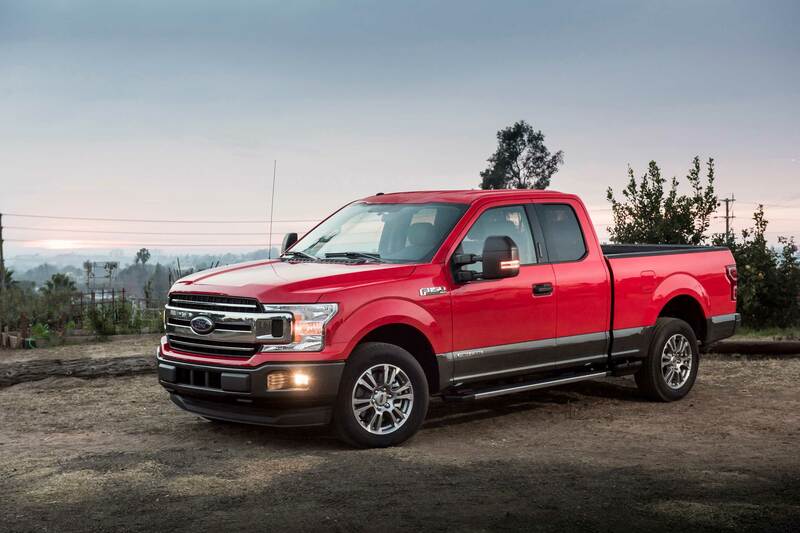 The perennially popular Ford F-150 can be optioned with a 3.0-liter V6 Power Stroke turbodiesel that makes 250 horsepower and 440 lb-ft from a low 1,750 rpm. Towing is boosted up to 11,400 pounds, and diesel’s natural efficiency returns an excellent 25 mpg in the combined cycle. It’s even relatively green, producing just 412 grams of CO2 per mile. Interestly, the diesel is focused on economy and heavy duty applications rather than just on maximum power. For the biggest bang of torque, buyers need to opt for the available 3.5-liter turbocharged V6 that puts out 375 horsepower and a massive 470 lb-ft of torque. Maximum towing moves up to 13,200 pounds, but economy drops to 21 mpg and emissions rise to 426. GM’s all-new Silverado/Sierra twins will be the recipients of a Duramax 3.0-liter inline-six diesel paired with a 10-speed automatic transmission sometime next year. Images of the option were recently added to the Silverado configurator page, but specifications were not. The rumor mill has some dealership materials that say 282 horsepower and 450 lb-ft of torque. That does indeed beat the Ford F-150, with its 250 horsepower and 440 lb-ft. The Ram 1500 is all-new for 2019 and company says the EcoDiesel will return with it. 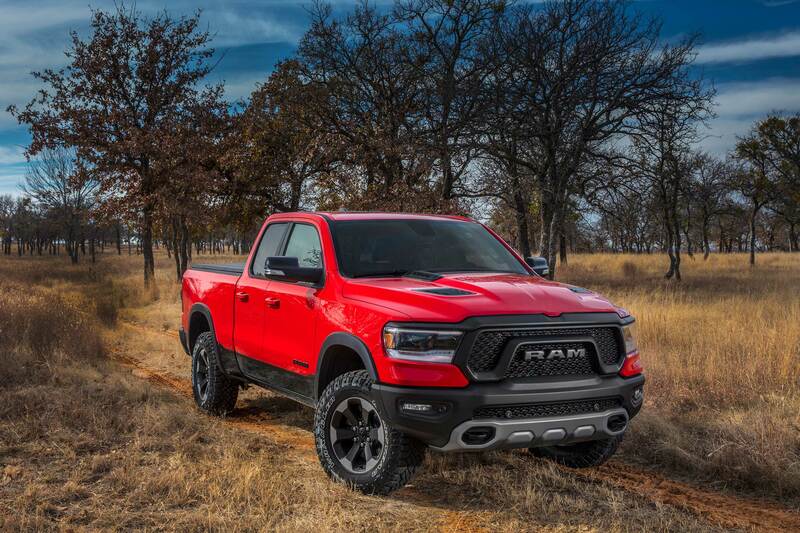 Production is expected to begin next summer, and Ram claims the engine will put the 1500 on the top of the pickup heap. In 2018, the 1500’s EcoDiesel made 240 horsepower and 420 lb-ft. The engine is slated to appear in the 2019 Jeep, however, with 260 horsepower and 442 lb-ft. According to rumours, the version to be installed in the 2019 1500 will make even more. Previous generation EcoDiesels are caught up in FCA’s emission scandal. The U.S. Environmental Protection Agency and California Air Resources Board both claimed FCA used illegal software that allowed its diesel vehicles to pass emission tests, when in fact the engines allegedly emitted nitrogen oxides five to twenty times higher than standards. A settlement is still pending. 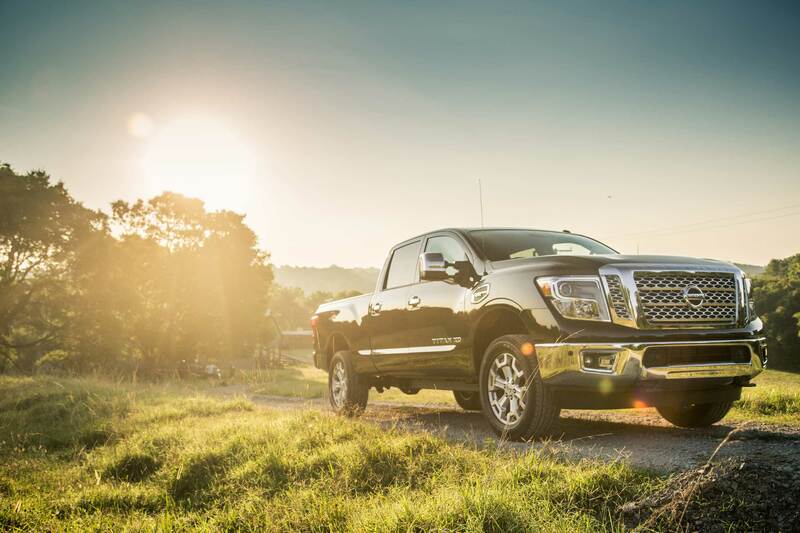 Nissan’s Titan pickup is not offered with an oil-burning powerplant, but its bigger XD sibling is. The optional 5.0-liter Cummins turbodiesel V8 twists out 555 lb-ft of torque and 310 horsepower. 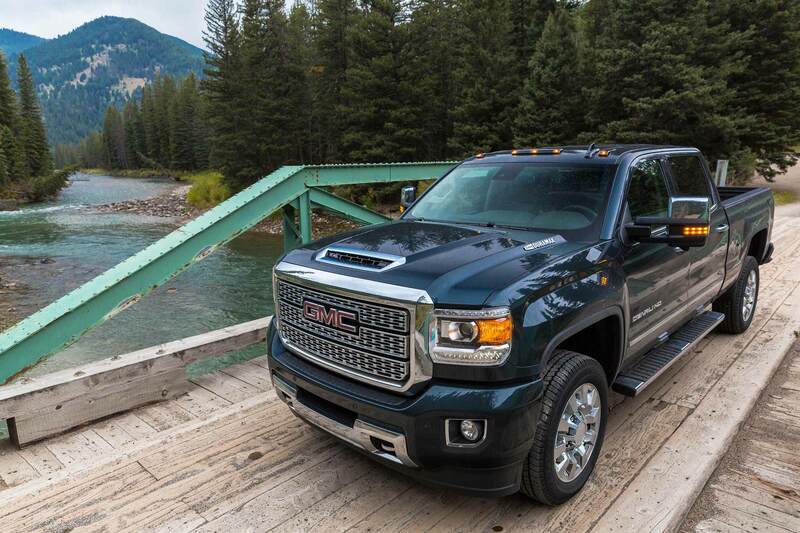 The engine boosts towing to just over 12,500 pounds (when properly equipped). The mill uses a compacted graphite iron block, aluminum alloy heads, a forged steel crank, and composite heads to keep weight down while retaining strength. Sequential turbos ensure continuous delivery of peak torque throughout the RPM range. Qualified as a heavy-duty vehicle, the XD is not rated by the EPA. 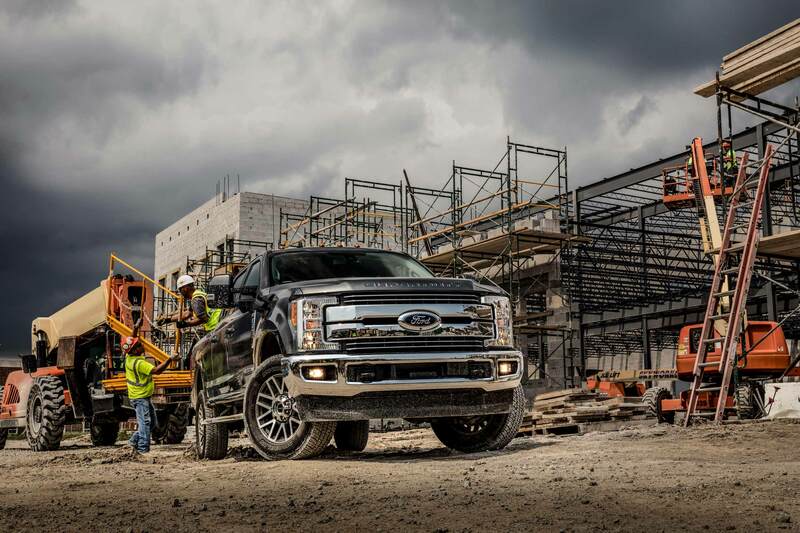 Both the Ford F-250 and F-350 Super Duty can be optioned with a mind-blowing 6.7-liter Power Stroke V8 diesel. Horsepower is 450; torque is a truly Leviathan 935 lb-ft.
Like the Cummins installed in the Nissan Titan XD, the Power Stroke uses compacted iron graphite to keep weight down. A single turbocharger is installed between the cylinder heads above the engine block, allowing faster access to exhaust pressure. 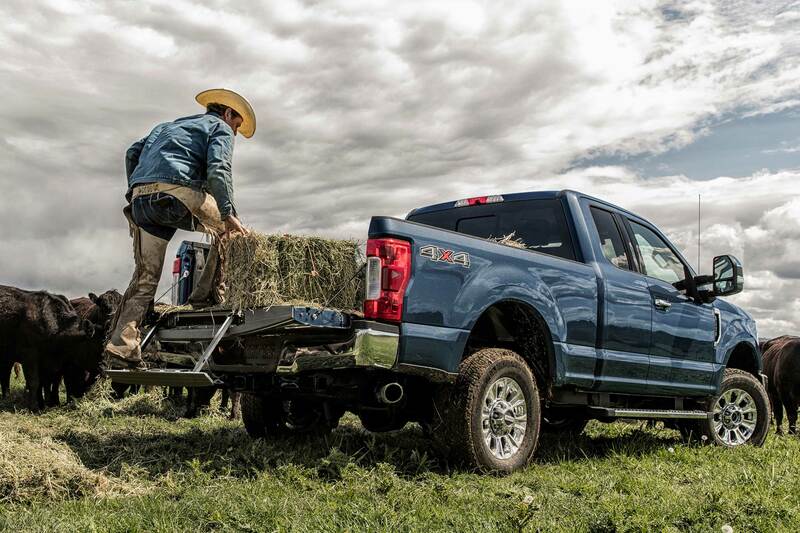 In the F-250, maximum towing jumps up to 18,500 pounds. In the F-350, the number is a staggering 16 tons. The engine employs driver-activated exhaust braking to keep everything under control. The system generates back pressure by chokers down the turbo’s exhaust flow. Engine braking also minimizes brake use and therefore brake maintenance. An Auto setting feathers in engine braking to help maintain a preset speed. GM’s Heavy Duty truck family has some pretty serious chops when it comes to diesel power. 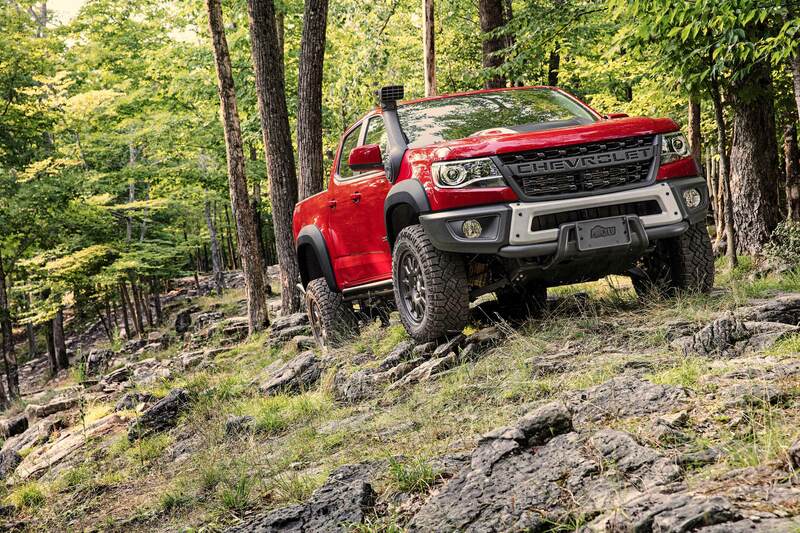 The optional Duramax 6.6-liter V8 will boils out an brutal 445 horsepower and 910 lb-ft of torque. 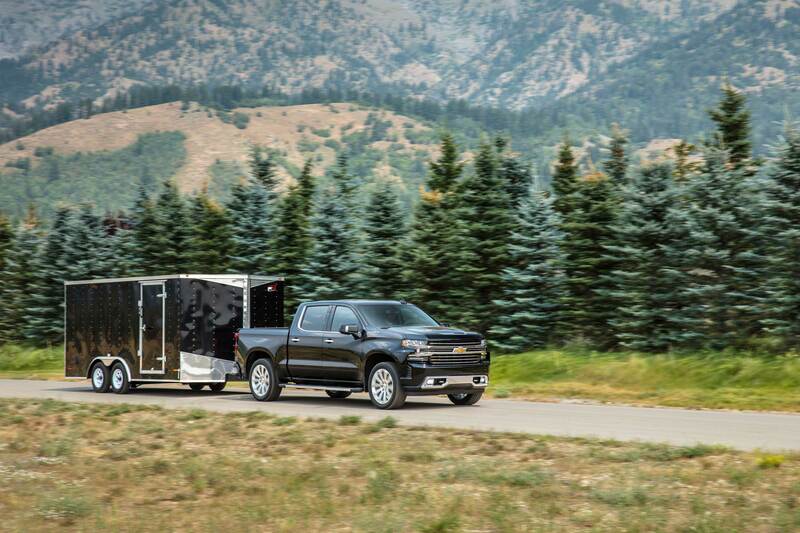 In the Silverado 2500HD, the Duramax will yank 18,100 pounds. Installed in the Sierra 3500HD, that number climbs to 23,100. The engine block is a solid chunk of cast iron topped by aluminum heads, backed up by an heavy-duty Allison 1000 six-speed automatic transmission with tow/haul mode added to reduce cycling. Exhaust braking is also used for better control when descending steep grades. 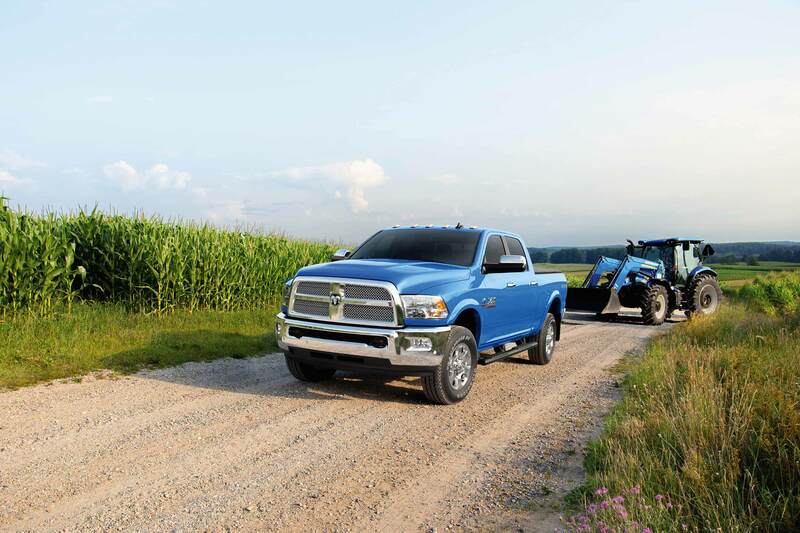 Ram offers plenty of optional diesel beef in its heavy-duty 2500 and 3500 models: a 6.7-liter Cummins. The inline-six comes in three power outputs: 350 horsepower and 660 lb-ft of torque when paired with a manual transmission, 370 horsepower and 800 lb-ft with the 68RFE automatic, and 385 horsepower and a bone-shattering 930 lb-ft when mated to a heavy-duty Aisin transmission in the 3500 only. Feel like towing a mountain, or perhaps the entire chain? The 2500 will pull a maximum of 17,980 pounds, and the 3500 will do a brobdingnagian 32,210. While mileage is not reported for heavy-duty trucks, Ram claims that the big Cummins will go 15,000 miles between oil changes, lowering maintenance costs.